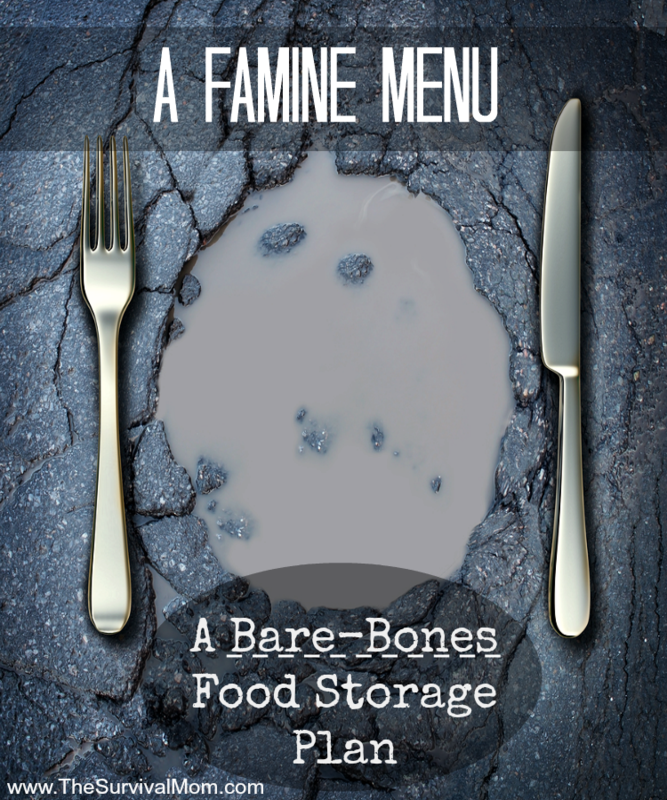 I found this “famine menu” on a political forum, of all things, several years ago. There was no link to an original post nor was any author listed. I liked the plan and wanted to share it because too many Americans see the need to prepare but can’t. The paycheck, if there is one, doesn’t come anywhere near to meeting the necessities. Keep in mind that every food storage plan must be customized to your own circumstances. If someone in your family is allergic to one of the items on the list, buy less or substitute something else. Stock up on the spices you use most. Those vary from family to family. If you’d like a printable of this list, click here. Shopping list: Amounts to store for one Person, two persons, three persons, four persons. This is for a year’s worth of food. In a dire emergency, you may not have electricity, or it could be subject to black-outs. In that case, start your famine menu using lesser amounts of food than you’ll need, since you won’t be able to refrigerate the leftovers. With each meal, add a little more food until you’re consuming everything within one day and tummies are all fairly satisfied. How do you begin when you have lots of food allergies. I can no longer eat most of my storage. 🙁 I am allergic to gluten, al night shades, all legumes including soy and peanuts, oatmeal, all diary, and the jury is still out on corn and eggs. I eat very autoimmune paleo. Any advice or direction? Keep what you already have stored, if you can. You can use it as a barter currency if that ever becomes necessary. So many people nowadays have food sensitivities, and when storing food, you have to take that into consideration. This Famine Menu is middle of the road, cheap, and assumes no one is sensitive to wheat, oats, etc. Your own food storage plans should start with the very simplest meals you make. List those meals/recipes and look for ones that only include ingredients that can be stored long-term. Start buying those ingredients and keep them stored in the coolest and darkest place in the house. Because your choices are limited, your meals may become boring if you ever have to rely on these foods for survival, but at least your health won’t be compromised. I wanted to give you a heads up: There are no links to the home canning meat article or printable form of the list in the article as it currently stands. It’s a great list of suggestions, though. I read somewhere about storing foods in two-liter soda bottles (grains, etc). Is there more information about that? That sounds simple and very doable. I’ve seen this before and wish it would spread. None of us want to live on this diet, but it CAN be done. I understand that people want to eat well and eat healthy, but sometimes you just have to eat cheap. Take a lesson from the Asians. They make a large pot of rice or noodles and add tiny little bits of meat and vegetables. With the addition of various seasonings, you have a large pot of hot food to feed your family, and it doesn’t cost very much. Bean soup is also cheap and easy. The leftovers can be turned into refried beans or baked beans. Casseroles come in all shapes and sizes. Use pasta or potatoes for the base, add a little meat and/or vegetables, and you have plenty of food for little money. One of our favorite comfort meals is instant potatoes mixed with a little cheese and fake bacon bits. It’s fast, easy, and filling. Planning for a rainy day doesn’t need to involve thousands of dollars at Sam’s Club. Each time you get groceries, grab a pound of beans or rice. Look for spices and seasonings when they’re 50 cents. Little by little, you’ll build your storage and have food for an emergency. Not having much money shouldn’t mean going hungry (at least not in America). It just means that you have to change the way you’re shopping and eating for as long as it takes to get on your feet. Hmm..spices, yes; but anyone in a shtf situation probably won’t have funds for fruit and nuts(I can’t afford it now!!!). (dinner, vary with spices and vegetables from the garden)…again, probably not if no income is available. Gardening takes lots of money, especially if you have no rich dirt and must use raised beds. And one of the easiest and inexpensive thing to store is macaroni, packaged with the cheese sauce or just boxed macaroni is a must. Macaroni and tomatoes(canned), macaroni and cheese, macaroni pasta salad..just a few. I agree. Ramen noodles can be replaced with pasta salad. Much healthier and if money is scarce, spaghetti or macaroni pasta($1 a box), a jar of black or green olives($1 a jar or can), a tomato, a green pepper, a cucumber(probably only affordable price in summer) and an onion($25?? for one?? ), and lastly a $1 jar of Italian dressing. I calculated pasta salad for two last week—-grand total of .50¢. Pepper, tomato from the garden, but still, you can feed a family a healthy meal for $1 if buying on sale. You can get a lot of meals from a spaghetti box, a jar of olives, and the other vegetables, plus Italian dressing. The base is the spaghetti. LDS Store – very good place to purchase staples…. This list should have whole corn on it also….Pick it up by the 50# bag at the feed supply….Versatile and nutritious, it can be parched or ground and you can make an assortment of dishes…Pinole, polanta, masa, tamales, cornbread, tortillas, corn fritters, johnny cakes, or add to other dishes for added nutrition…. I did a nutritional analysis of this food plan. I do realize that what’s good for one person may not be best for another. The USDA RDAs might not be best for you or your family. But I had to start with some standard, which is why I went with the USDA RDAs. Feel free to make changes for yourself. The website I used is very comprehensive but not too difficult to use, even for people, such as myself, who aren’t nutritionists. You just have to start playing with it and get comfortable with it. Please copy my “recipe” and modify it for yourself. Pounds of ingredient for a year’s supply x 16 ounces / 365 days = Ounces per day. 1lb ground beef = 1 pint canned. One #10 can popcorn = 5lbs. You said to add a multivitamin but didn’t say what kind. Regular Centrum for Adults it the least expensive yet most complete multivitamin I could find. The cheaper multis are missing important vitamins such as K, which the food plan is deficient on. This food plan is low on fat. (Need 15 g more.) I even chose the fattiest meat and it’s still short. That’s a problem, because fat tends to be difficult to obtain during a crisis, and you can die from not having enough. The ratio of Omega-6 fatty acids to Omega-3 is off. It’s 10.4:1. You want to strive for 1:1, but no more than 4:1. The plan scores a 332 for glycemic load. 100 or less is ideal. It scores a 1.9 (out of 5.0) on the fullness factor. You’ll feel hungrier sooner. But it scores a 3.6 out of 5.0 for nutrient density. There are 2,995 calories per person per day. This is higher than the RDA of 2,000 but in a crisis you’ll either need more calories (working, walking, lifting much more than usual) or you’ll want to ration more. So this is appropriate. However, because the food plan is higher in calories, the ratio of nutrients to calories is lower. For example, the RDA is that you take 1,000 mg of calcium for every 2,000 calories. Does consuming more calories require higher ratios of the rest of your nutrients? Do you need certain ratios so that your system can digestd and assimilate everything properly? I don’t know. I’m no nutritionist, but I suspect this is true. When I’m building a food plan, I prefer to keep everything in line with the USDA RDAs, and simply adjust the overall volume up or down if I need more/fewer calories. It’s just easier that way. Overall, the food plan scores a 63 out of 100 on the Nutritional Completeness score. After adjusting for the missing nutrients, the next thing you can do is substitute the most expensive ingredients for less expensive ones. I strongly believe there is room for improvement here, too. The idea is to keep the same overall nutritional profile but spend less money. So for example you might reduce something that is expensive per calorie, since you have 995 extra calories anyway. Or for example, if you can reduce the amount of peanut butter and increase the rice, you can keep some of the protein and calories but save more money. To do this, create a spreadsheet, list all the ingredients, the number of pounds, and the price per pound, then multiply pounds x price/lb for total costs per ingredient. See what your most expensive items are, and see what you can reduce or substitute. Adjust your amounts or change ingredients on the nutrition website, then analyze, ensuring everything stays at or above the RDA numbers. It’s OK to reduce your calories to 2,000; If you think you need more, you just double your amount of food. The RDAs are just a useful baseline, to keep all the numbers aligned. I did this cost analysis on our own rations and was surprised just how much I was able to reduce the overall cost by adding a bit more rice here, a bit less peanut butter there, a bit more olive oil, remove that item, etc. It took a few hours but was a worthwhile exercise. I also recommend you do what you can to increase the “fullness factor.” Feeling fuller will make what you have stretch longer. Also, my gut feel is there are still some cost improvements that can be made. Play with the numbers yourself, and come up with your own optimized plan that’s best for your family. This is a good start, but it still needs some work. Thanks for putting in all that research. You’ve made some very good points! Clarification on my last post: To edit this “recipe” for yourself, click the orange “Create recipe” button in the upper-right corner. You may need to create an account. Website admins, you have some errors: The article says “Read this article on home canning meats” but there is no link. 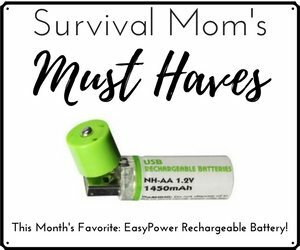 It says, “If you’d like a printable of this list, click here” but there is no link. This is right up my alley. I have been stockpiling what you recommend…however, I am questioning how wise it is to store things like pinto beans (which my family LOVES) if there may be an energy shortage/crisis. How would you recommend cooking things like beans that require a fair amount of “cook time”? Is one way better than another to prepare for? Amy, it would be a good thing to go ahead and can a percentage of those stored beans yourself. Many people have used a pressure canner, and a pressure cooker (not the same thing), over an open fire, so that’s a possibility. You can cook dry beans in a solar oven, such as the Sun Oven. In addition to this stored food, you should have at least 2 alternative methods for cooking foods and they should use different fuel sources. I bought a rocket stove and it’s amazing. Feed it twigs and small pieces of wood and it boils water, cooks food, whatever you need. It weights about 16 lbs so it’s easy to carry. I also bought a solar generator. I also have a coleman camp stove with stored bottled of propane and you can hook it to a large propane tank like the ones on your barbeque grill. Open fire is also good, just get yourself a tripod so it’s easy to hang a pot over the fireplace. Wood stove in your house? Fireplace? Pressure can the beans so all you have to do is heat them up. They’ll keep a couple of years this way. Are the amounts to store per person, then to 4, for 3 months, a year? Thank you! Sorry I didn’t make that clear, Renny. It’s for one year. Amy, in addition to everything Survival Mom said about cooking beans, you can also pre-soak them to save cook time. And I think I read somewhere (In The Tightwad Gazette?) that soaking for 24 hours, then freezing the beans overnight, causes the beans to break down even more. The freezing cycle breaks bonds, I think? I couldn’t find an internet source to validate. I’m going by memory. I did freeze some beans once or twice but I don’t recall the results. You can also reduce fuel with a “haybox.” Google it. Is it possible to switch to a faster bean like lentils, at least some of the time? how long does food last if you home can it? I have heard that it only lasts for a year. whereas dried items last much longer, if stored properly. I cannot afford to purchase these items and have them go bad before I need them. And it does not include how much water required to cook items. Home canned foods keep a very very long time provided they are stored in a dark, dry cool place.. As long as the seal holds the food should be good. Wide mouth jars are good for canning beans although regular jars will work. Its just harder to get the beans out of a regular jar. I can 99% of my home canned foods in regular jars as the cost of lids is lower. I like to vacuum seal rice and other dried foods in canning jars to protect from insect infestation. I’m always on the watch for used jars. Twenty years ago you could buy a dozen boxes of jars for $1, but in the last few years I’ve hardly seen used jars anywhere and the prices are quite high. In fact, cost the of used jars makes new with rings and lids less expensive. Watch for sales. Menards currently has the lowest prices I’ve seen on canning jars. It used to be stores would sell out canning supplies at the end of the season and not have them again until Spring. That is no longer true. Most stores now carry them year round. It is a good list though if I eat like that for only a couple of days I would be “blocked up”. Of course I know these are the basis for meals and if you had to eat like this for a while you wouldn’t die but I have always had at least a few things growing in pots to add fresh into meals. I have a garden now that at the very least I can throw some green things in but everyone can have a couple of pots in a spot somewhere with at least some herbs. Depending on the what the emergency is and if you can still get to the shops or not, but a few seasonal veges wouldn’t cost much to add to a meal if you don’t have a garden. Rice and beans are our go to “grains”, we don’t go much on pasta so we don’t have a lot of that here, we find rice much easier to digest than pasta. Quinoa is our latest addition to our meals which can be cooked alone but we mix it with rice, however I am yet to research the self life of it. Just thinking about it though Quinoa wouldn’t be on the cheap list. Maybe I missed the explanation somewhere, but how much is a “pot” of something? Thank you for clarifying. That would probably be determined by how many people you’re cooking for! SO much great info in the post and also in the comments. 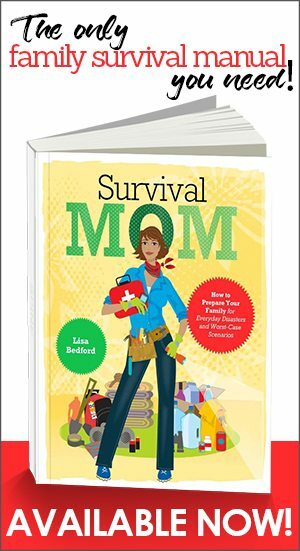 Thanks to Survival Mom and the commentators for the follow ups. One thing I will add is that we have a plan in place for alternative cooking: for short term issues we have our propane grill as a cooking source. We have a generator to plug convection plates into. We have a small propane camp stove. We have a fire pit to use wood. And additionally I am in the process of building a couple of Rocket Stoves for less than $30 each, and the fuel needed to operate them is VERY minimal (small slivers of wood and sticks!). Two of these Rocket Stoves are something ANYONE can have in their back yard, street side, etc. and you can use regular pots and pans on them. Check You Tube for very basic Rocket Stoves built with cinder block, brick, and/or fire brick. for the person asking how long home canned foods last the longest stored item I’ve eaten was a 19year old jar of sweet pickles home canned by great gramma. Still fantastic tasting no one got sick either. I’ve heard of people eating them much longer than that past date too. Depends on what it is and how it was stored. Commercial canned and jarred foods last years past date as well, they just begin to loose nutritional value after time which is the reason for the expiration/ use by dates. Always use your own judgement though if something you’ve opened seems “off” by smell color or texture play it safe and grab a different can. Avoid ones that are bluffing or if there is any rust that is inside the cans. Before you store your dry goods long term freeze them for a week to kill any bug eggs like weevils. ( gross yes but all food has it whether you see it or not) then thaw and store them for long term. I always suggest that once you have the basics and some adds ons for your own family stored for whatever length of time you choose that you start adding in extra staples like rice, beans, sugar, powdered milk, extra canned meats and veggies etc. 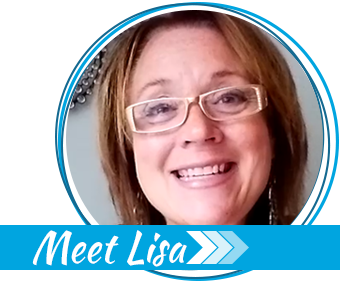 account for guests or unexpected add ons to the family or growing kids. Not to mention you will likely be expending lots of extra calories and needing more food than you eat now. Good article and I am printing to add to “the book”! Thanks again for your fantastic blog!!! low acid foods last longer than high acid foods (which eventually attack the metal in the lids). Meats last the longest, with one example of a can of “Roast Veal” that 118 years old that, when tested, proved to not only still be safe to eat, but had retained almost all of its nutritive value! Another way to store beans and grains to allow for less cooking times is to cook them, then dehydrated the cooked beans and grains. Think Minute Rice here. I think the beans are better if you mush them up before you dry them, like refritos. The best way to store foods for emergencies is to store the foods you usually eat. If you are buying a can of tomatoes for a casserole, buy 2 and store the other one. Buy a case if it’s on a great sale. Use your stored food for every day use, but every time you take a can or box or whatever out of stores, make sure you replace it on your next shopping trip. This way, your stash stays fresh. Learn how to sprout seeds, and how to enjoy them. If the Big Crash happens in the middle of winter, sprouts may be the only way to get fresh food and all the important vitamins they bring to your diet. Don’t forget that you can also count the water from canned foods in your daily water intake (try to have foods canned without extra salt). Jay Jay, try this method of gardening. Takes less dirt and less time and effort. Dietary needs do change. When we are living as we are we have to make an effort to stay away from fats, sugars and carbs. But should the SHTF, we will be needing them. However my husband is a raging diabetic and even though I am stockpiling (and yes, rotating) his medications, they will run out eventually so he will have to carefully watch from the carbs. So I am wondering, is there a reason things like white flour is listed as opposed to whole wheat? Is it less shelf stable of something? This famine menu was put together by someone else, I’ve never been able to figure out the original source. It really is bare bones. But like ANY plan, whether for saving money, exercising, etc, you have to customize it to your own needs and circumstances. White flour has a shelf life of at least a year when it’s stored in an air-tight container, away from humidity, and in cool temperatures of 70 degrees or so. Since most people don’t or can’t provide those storage conditions, the temperature, in particular, it will have a shorter shelf life. The best way to store “flour” is to store wheat, or wheat berries, which has a much, much longer shelf life. Still no link to the printable list 🙁 Thanks for sharing! Thanks for nudging me!!! Here’s the link, and it’s in the article now, too. Thank you for adding the link – a nice compact shopping list and plan to build from! You’re welcome. It was one of those little details that completely slipped by me! Spices and herbs are great for making “plain food” tasty. Many are medicinal as well. Saundra’s post raises a good question. I became nightshade sensitive last year, and that rules out a *lot* of things, even on a bare-bones plan like this one. There are recipes for tomato- free veggie sauces, but what would be a good replacement for potatoes? (sweet potatoes are great, but there are some uses where they just won’t work….) I hear Jerusalem artichokes are good, but not really out there in a long-term storage friendly form. If you pick up corn at the feed store, know that corn doesn’t release it’s protein unless it is treated with Lye before you grind it into meal. Corn untreated is just carbohydrate. Lye is made from CLEAN wood ashes and water. Takes a little research. I am just grateful that I am able to eat more balanced meals and have money for vitamins. I am also very grateful that I know how to cook from scratch, bake my own bread, can the garden produce, sew, crochet, and recently learned to knit. I think we are prepared for whatever may come, but I have to say I don’t look forward to a repeat of the depression, because most people don’t have skills to survive like they had in the 1930s. We are very spoiled. It would be very ugly. In regard to Tsandi Crew’s comment about corn not releasing its protein, where did you get that information? Lye is used to make hominy, but we grind popcorn to make cornmeal. I would just like to know who came up with that idea? BTW, deer corn does not have any additives. Corn for domestic animal feed may have all kinds of additives. Yes, the LDS plans are very, very basic. Not sure if this is the same thing but it is definitely no-frills. You’re welcome! Money is tight for so many these days. When calculating the amount of pasta you need can you count boxed pasta meals? Also, I live in a small apartment with two small children, where do you recommend storing this much food? 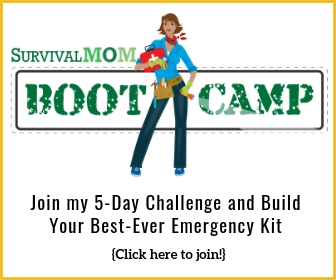 I want to be prepared the best I can, but I am a single mom on a tight budget. Any good suggestions?